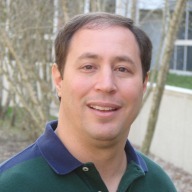 Dr. Brad Topol is an IBM Distinguished Engineer in the IBM Cloud Architecture and Technology organization. In his current role, Brad leads a development team focused on contributing to and improving OpenStack and he has cross-IBM responsibility for coordinating its contributions to OpenStack. Brad serves as a member of the OpenStack Foundation Board of Directors and is also an OpenStack core contributor to Keystone-Specs, Pycadf, and Heat-Translator. He has personally contributed to multiple OpenStack projects including Keystone, Pycadf, Heat-Translator, and DevStack and is the project lead for the OpenStack Interoperability Challenge effort. He is a co-author of Identity, Authentication & Access Management in OpenStack, a book published by O'Reilly Media in 2015. Kubernetes on OpenStack: What's Available and Where Are the Gaps? The Past, the Present, and the Future of "OpenStack Interoperability"